Road Trip Day #1 is in the Books! Day 1 of my road trip consisted of 12 straight hours of driving departing form Toledo, OH and ending at the Mississippi state line Welcome Center. After hopping on the highway in my hometown of Toledo I ventured across the Heartland state but before exiting Buckeye country I had to make a stop in Cincinnati at Skyline Chili. 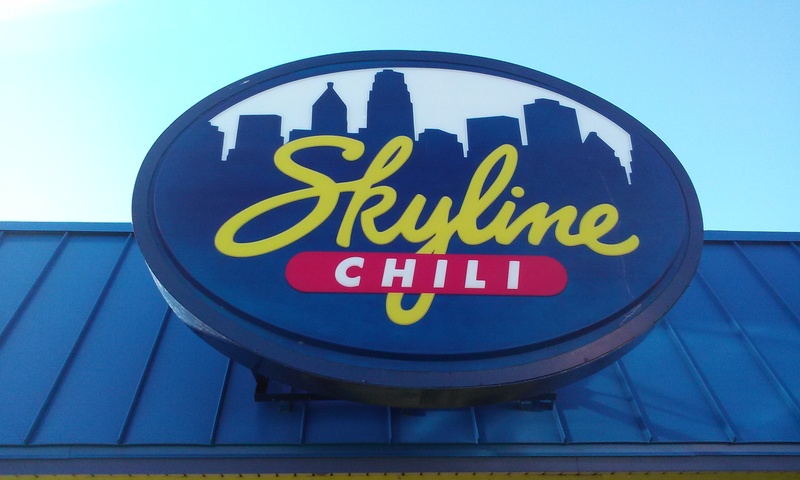 Skyline Chili has been a pride of the Queen City and Northern Kentucky since 1949. This light and delicious taste is a must anytime passing through this region. The next stop on my journey was Louisville, KY, which is in my opinion one of the most underrated cities in the country. I have had wonderful times in the city that is home to the Kentucky Derby, University of Louisville, and 4th Street LIVE to name a few! Continuing down I-65 I came into the beautiful city of Nashville, which has a stunning skyline at night. Now the city most known for country music is probably most remembered by me personally as the place where one of my former players Joey Knight, while coaching at High Point University, scored 40 points in an unbelievable upset attempt on Vanderbilt’s home floor. Tennessee is a rather quick state to pass through but getting to the next major city on my route was a bit of a hall, but shortly after 10pm I rolled into Birmingham , AL for a quick stop. I have always enjoyed recruiting in Birmingham because of a nice little live music venue right downtown called the Oasis. I didn’t stay long on this particular visit to the city because I was focused on making some more headway on my southbound journey. This next leg of the drive was long, but as the cool air came through the vents of my little Mustang GT we cruised into the wee hours of the morning finally deciding to stop and take a rest at the Mississippi state line Welcome Center. It was nearly 4am at this point so really no reason to get a hotel room this late so I decided to just close my eyes and relax a bit in my bucket seat. At 6’4” this probably wasn’t the most comfortable option but thankfully I stowed a pillow away in my car. I will say that this is the only rest area that I can ever recall on the highway that had a security guard patrolling the grounds on a golf cart! After about 2 hours of rest I deciding to brush my teeth and hop back on the highway to continue my journey! I will update you with more soon! I hope you have a great day! I am certainly not a Kardashian but I truly appreciate you Keeping Up with Me! This entry was posted in Education, Travel and tagged Birmingham, Cincinnati, darren kohne, High Point University, joey knight, louisville, mississippi, Northern Kentucky, road trip, Skyline Chili, Toledo, Toledo Ohio, University of Louisville. Bookmark the permalink.